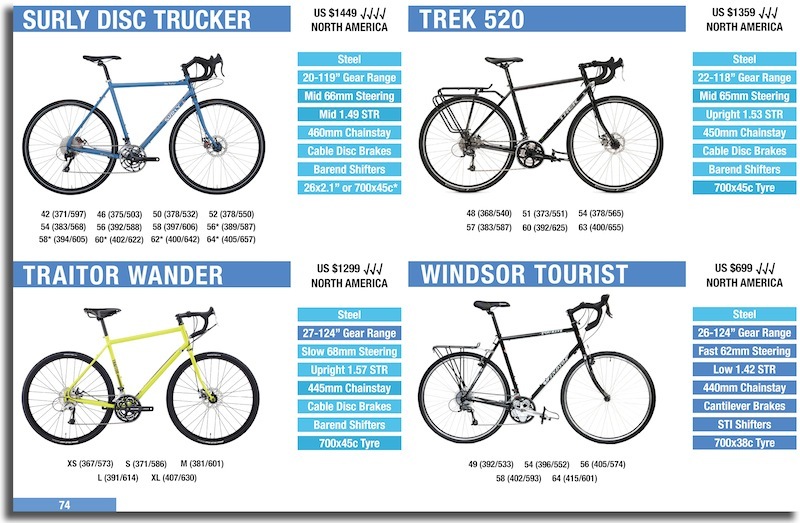 A couple of years ago, Marin unveiled an entire touring/adventure bike range. While the range has since slimmed down a bit, the core models have certainly stood the test of a time. 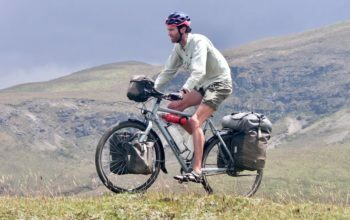 With its smart build, steel frameset, 2.0″ tyre clearance and budget price point – the Four Corners touring bike was clearly a gem, making its way to my list of the 8 best touring bikes without any hesitation. 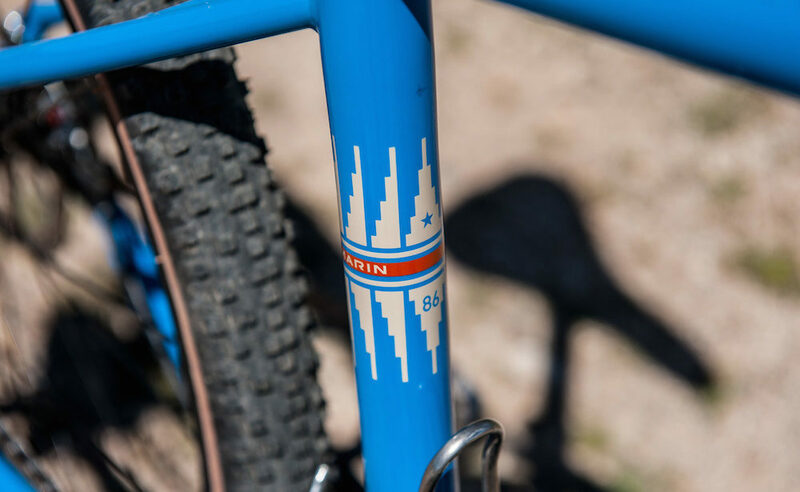 If it already sounds good, it gets better: the 2018 Marin Four Corners is fresh off a frame update, parts upgrade and price drop, cementing its place as one of, if not the best value touring bike available! The new price is US $1039 which is bonkers-cheap considering what you’re getting. Let’s take a closer look. 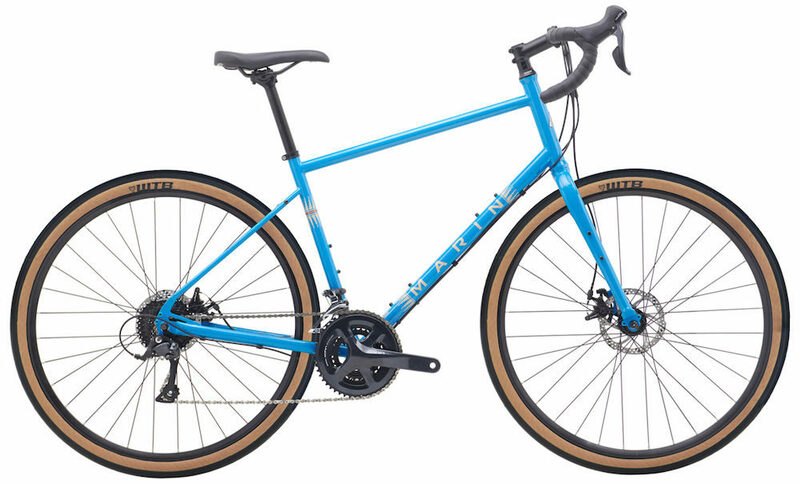 The 2018 Marin Four Corners in blue. The big news for 2018 is the frame geometry update; the frames are all a bit longer, taller and slower to steer. These characteristics will make the bike super comfortable to ride as well as quite easy to handle. 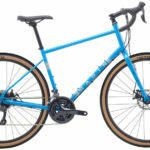 If there’s a downside to the new more-upright geometry of the bike it’s that it may not suit those who are seeking that fast, sporty riding position. You should think of the 2018 Marin Four Corners as a bike that will happily putt along all day. The x-small (new size!) and small employ 650B wheels in order to reduce ‘toe overlap’, as well as decrease the standover of the bike. 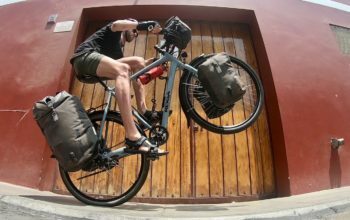 This is a great move by Marin as smaller wheels certainly make the bike more manageable for smaller riders (especially when carrying a load). In other news, the brakes have had a significant update. The Tektro Spyre mechanical disc brakes are arguably the best going around so it’s great to see them fitted to the bike. Last years Schwalbe tyres have been switched out for a more aesthetically-pleasing gumwall offering by WTB. 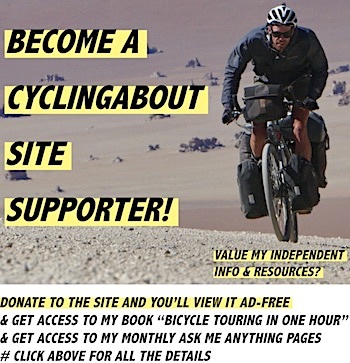 These 42mm tyres actually have a knobby tread pattern suitable for dirt road use, so if you’re thinking about spending time on sealed roads, you will need to factor in the cost of a tyre change (check out my current favourite, the Schwalbe Almotion). 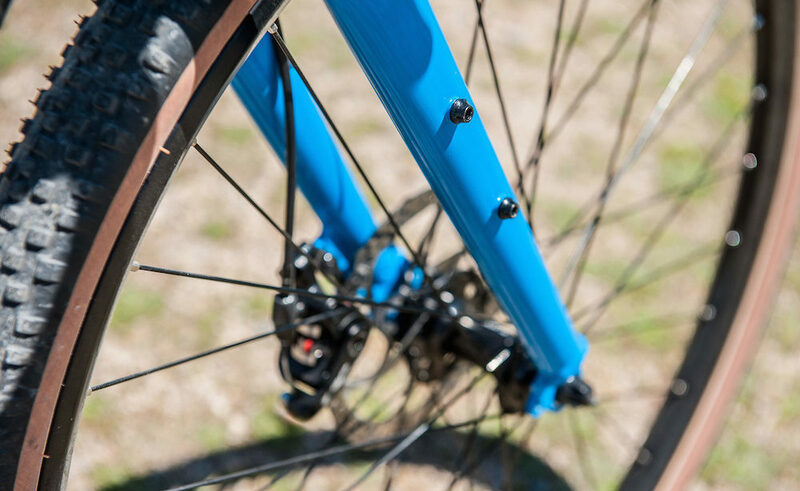 There are additional braze-ons located on the 2018 Marin Four Corners frame and fork. 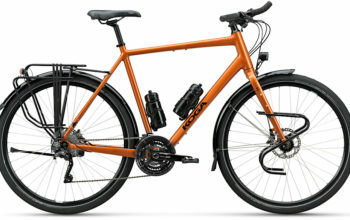 The fork can now fit 2-boss cargo cages as well as a front rack and fenders. There’s an extra bidon mount on the upper part of the downtube too, bringing the total on the bike to six. The gearing has been modified to provide a slightly smaller climbing gear ratio. 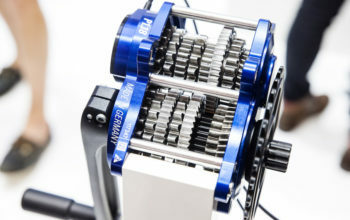 With the 34 tooth cog on the rear cassette, the gear is down to 24.6″. 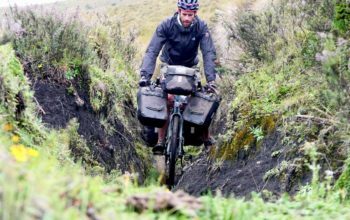 While this is fine on moderately hilly terrain, I would personally look at switching the crankset out for a Shimano Deore mountain bike crankset (with a 22, 24 or 26t small front ring) in order to have some smaller gears on reserve. Even as a very strong and experienced rider, I use and recommend smaller than 26t front chainrings. But then again, most of my tours are in mountainous areas. 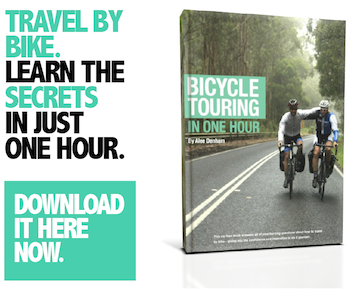 Read more about touring bike gearing HERE. 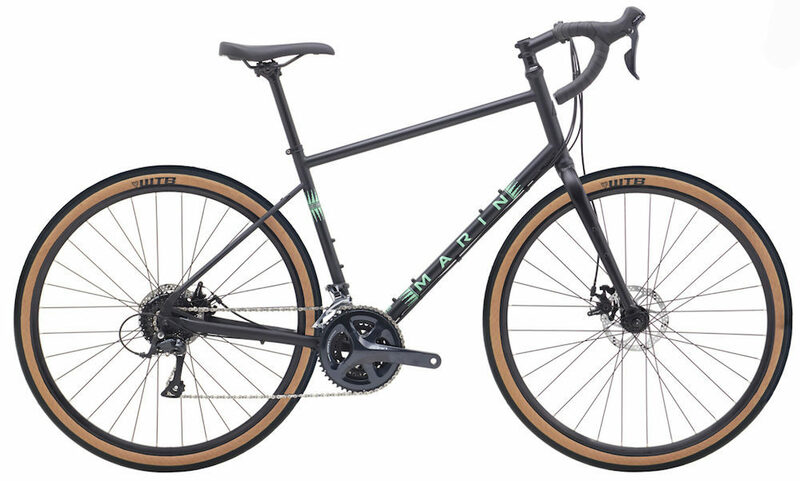 The 2018 Marin Four Corners in black.